The summer wedding season has come and gone but the winter wedding season is just starting to heat up. As the summer fades into the fall, now is the perfect time to start planning a gorgeous winter wedding in the city of Puyallup. Most people opt for a summer wedding because they think it is more picturesque than a winter wedding but with the right touches, a winter wedding can be tastefully dramatic and gorgeous. With the right combination of the proper venue and some updated wedding trends, the City of Puyallup offers some fantastic and affordable indoor venues along with amazing vendors to help make your winter wedding a lovely affair sure to be remembered for years to come. decorations for a winter wedding, adopting a less is more attitude goes a long way towards achieving that glamorous look. Substituting white and silver accents throughout the wedding creates an elegant ambiance and sets the scene for a winter wedding. Using full white flowers like Hydrangeas and Ranunculus make for beautiful bouquets. Stepping outside the box with a unique choice of flowers helps to add an individual touch to a winter wedding. Silver accents are easy to add and it can be as simple as using silver crystals on your centerpieces and silver jewelry for the bride and the bridesmaids. When it comes to food and drinks for a winter wedding, opting for warm food and drinks helps to keep your guests toasty on those colder nights. Instead of boring plain hot chocolate, get creative and add some peppermint schnapps or Kahlua with some silver sprinkles on top. Or instead of regular hot chocolate, use white hot chocolate in order to keep with the white winter theme. Or create a signature wedding cocktail by using homemade Candy Cane Infused Vodka. Giving a unique twist to winter cocktails gives your guests a surprise treat to look forward to while celebrating. For the meal, comfort food makes for a delightful feast at a winter wedding. Opening with a warm soup like a curried butternut squash soup accompanied with a winter salad with cranberries and walnuts will help set the stage for an opulent main course like prime cuts of beef like filet mignon or venison and pheasant. Beca use winter weddings are more formal, the meal that accompanies a winter wedding must be more formal in nature. When it comes to desert, think out of the box with a with a spice cake with caramel frosting or a white cake with a cranberry buttercream frosting. 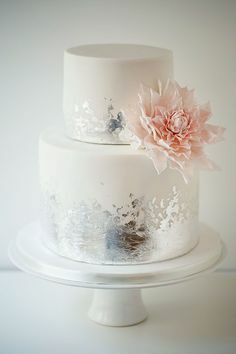 Utilize your cake as a decorative piece by using silver edible dust or keep it classically simple with an all-white cake decorated with white and deep red English Cabbage Roses. 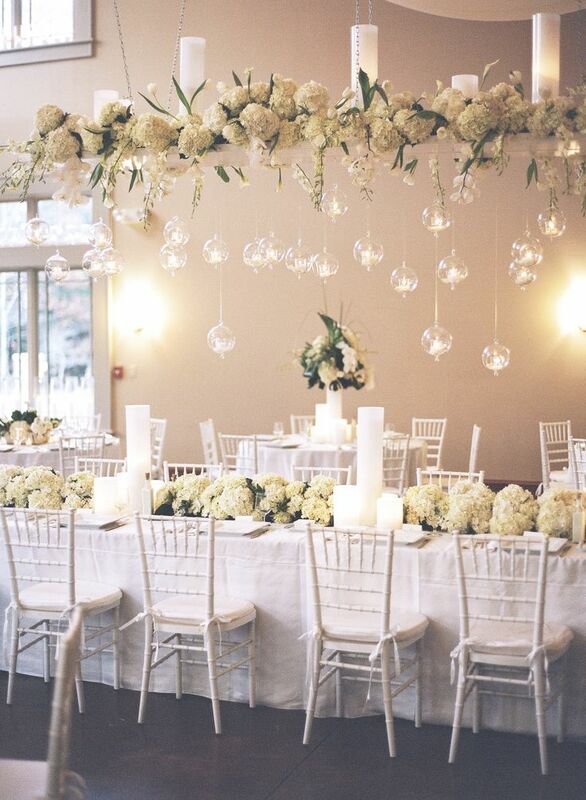 Once again, remember less is more and it goes a long way when it comes to setting the tone for an elegant wedding. Indoor venues are a must when it comes to a winter wedding. Finding the right venue for your wedding is key to creating the perfect setting, Puyallup not only offers gorgeous indoor venues but they are also affordable to boot. 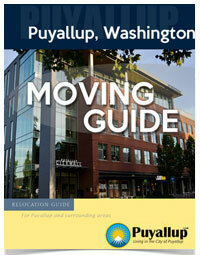 One of the city’s favorite venues is the Liberty Theater located at 116 West Main in Downtown Puyallup. This gorgeous northwest venue has been a historic landmark for over 80 years. The original chairs have been removed from the theater floor to create space for up to 250 guests. This historic ballroom has a beautiful stage that sets the tone for an elegant affair. The original architecture creates the perfect background for your wedding photos. 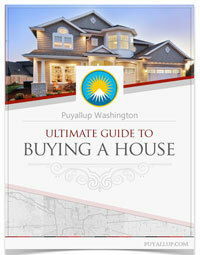 Another popular, affordable indoor venue is the Washington State Fairgrounds. Whether you wish to have a rustic elegant winter affair or a grand winter wonderland soiree, the fairgrounds has it all to help fulfill all your wedding needs. They have four different options for venues on the fairgrounds. 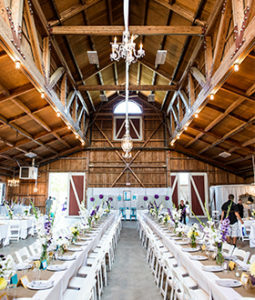 The first venue is the Fair Farm, which is a rustic barn complete with open beam ceilings, shuttered windows, and grand chandeliers. This heated indoor venue can accommodate up to 300 guests. The Fair View Club is an elegant indoor space that is perfect for intimate weddings for up to 150 guests. This venue features gorgeous millwork, a cozy stone fireplace perfect for warming your guests on a cold night, and large windows that allow your guests a perfect picturesque view of the fairgrounds. The Expo Hall is located just inside the Gold gate on the Washington State fairgrounds and provides a venue for up to 800 guests. The Pavilion is the largest rental space on the grounds and can accommodate up to 1,000 guests. Regardless of the size of your winter wedding, the Washington State Fair has something for every couple looking to get married. Winter weddings are getting a glamorous update this season. For those looking to plan a wedding during the cold winter months, classic decor is on trend for this year. Elegant, formal affairs are the perfect way to celebrate your nuptials and Puyallup has a lot to offer in the way of both venues and vendors. Let us know your winter wedding ideas on the Puyallup Twitter!